Hello. It's me, Tom. Been a while hasn't it? 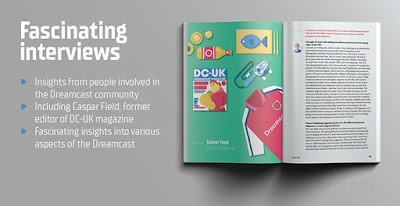 Enough about me though (sort of) - there's a new book all about the Dreamcast coming very soon! 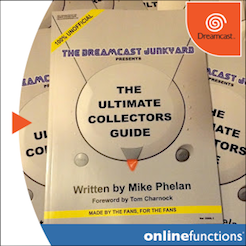 Full disclosure: I was actually interviewed for this book, so I do have a special interest; however it's still nice to see yet another physical tome dedicated to Sega's final console assume a physical - albeit not yet final - form. 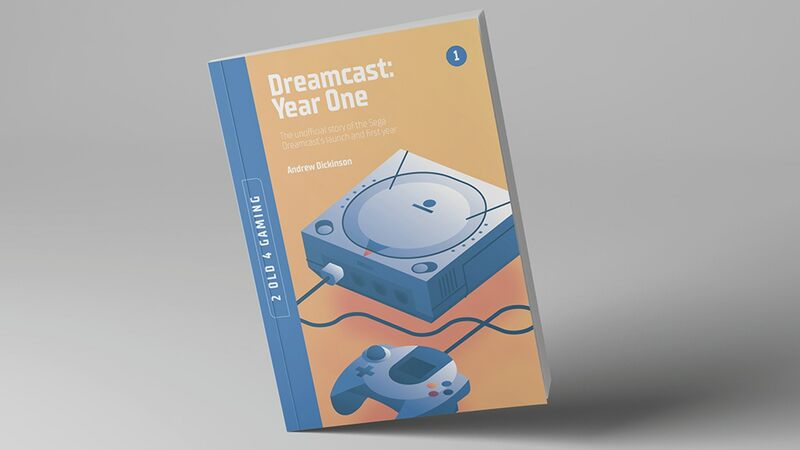 Yes, Andrew Dickinson's Dreamcast: Year One recently hit its Kickstarter goal of £6,000 and will now join the recent, similarly Kickstarted PS Vita: Year One as part of 2 Old 4 Gaming's stable of niche publications. 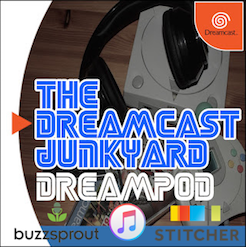 As stated, I was interviewed for Dreamcast: Year One and Andrew sent me a list of probing questions about my affinity with the console, my favourite games, and where I think the future of the system and its faithful community lie. To be honest, most of the stuff I wax lyrical about can probably be found in the archives of this very blog, such has my life been completely ingrained and documented here over the past decade and a half. That said, it was an honour to take part, and due to the success of the Kickstarter, the book looks set to be sent out to backers in October 2019. 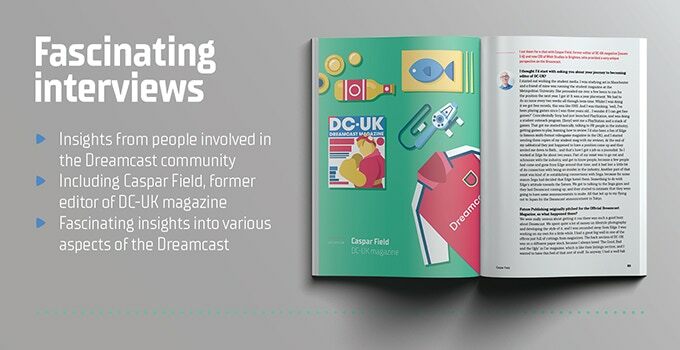 Naturally, it's not all about me (weak McFly reference - check), as several other much more important people are also interviewed, with editor of DC-UK magazine Caspar Field, editor of Official UK Dreamcast Magazine Ed Lomas, and former SEGA America chief Bernie Stolar amongst that number. 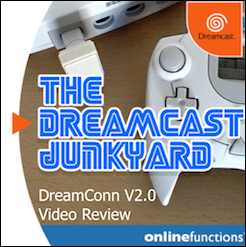 There are also a bunch of mini reviews and deep dives on certain Dreamcast games. 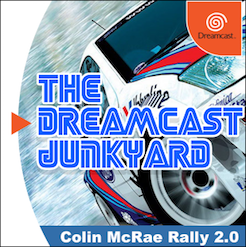 As the name suggests, it will primarily focus on the first year of the Dreamcast's meagre lifespan, and have a very distinct UK flavour which will make this book pretty unique in comparison to the mainly Japan and US focused stuff we're used to. 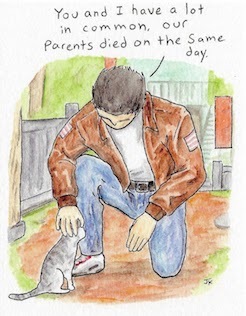 There's a glut of original artwork by artist Erik Pavik that accompanies the words too. 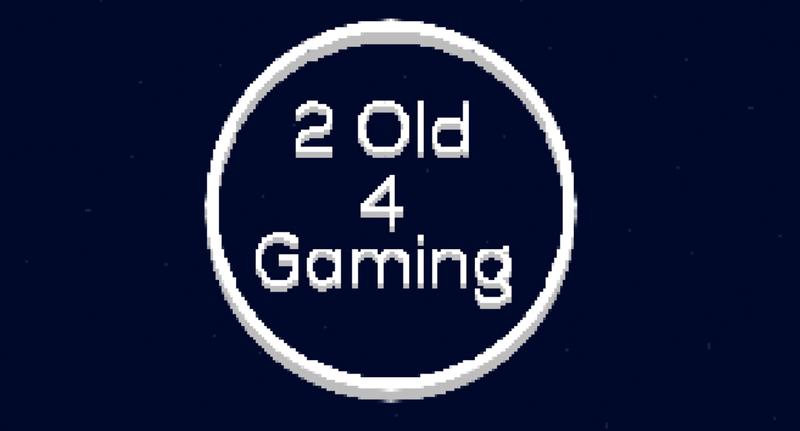 Overall it looks to be a very nice addition to the 2 Old 4 Gaming library. 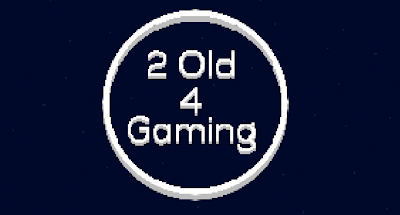 The previous release from 2 Old 4 Gaming was the aforementioned PS Vita: Year One, and again - full disclosure - I was a backer and recipient of that book. As something of a PS Vita fanboy, I was very impressed with the accuracy and quality of the information contained between the covers of that particular text, so I have high hopes for Dreamcast: Year One. 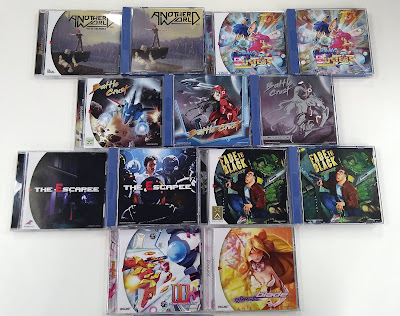 You can find out more about Andrew Dickinson's Dreamcast: Year One by visiting the Kickstarter page here, and the upcoming PS Vita: Year One and PS Vita: Year Two books from 2 Old 4 Gaming here. It's worth noting that there is also the other Dreamcast Kickstarter book coming in 2019 from Darren Wall (you can read about that one here), but we think there's enough of a difference in approach to both of these projects that they can easily live side by side on anyone's bookshelf, coffee table or stall at an overpriced games convention. Finally, some more full disclosure. 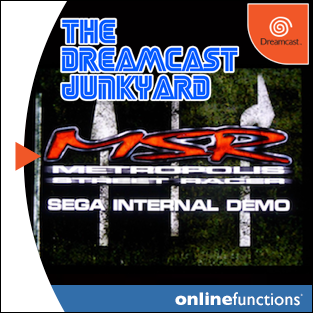 You may have noted a recent drop off in terms of articles from myself here at The Dreamcast Junkyard. That's because I was totally fed up with the internet, gaming, the way everyone screams at each other on social media these days and, well, life in general. So I checked out of the internet and took a well-deserved hiatus. I thoroughly enjoyed it, and continue to do so. 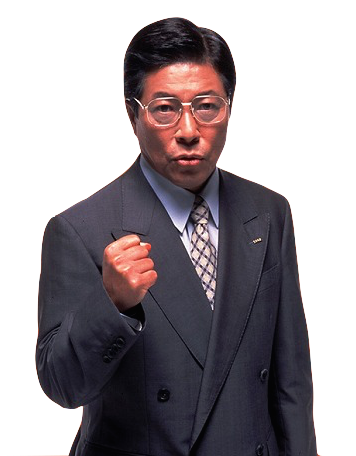 To this end, I doubt very much that I'll be back to updating this place as regularly as I used to, but I'll be checking in with the odd update every now and then to help the other writers keep it all ticking over. I won't be going back on social media though. Oh no. That dumpster fire can burn itself to the ground, and through to the very core of the planet. In the aftermath of the recent Leaving Neverland documentary, every man and his dog has been quick to distance themselves from any association with Michael Jackson. 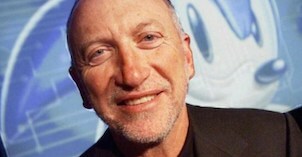 His songs have been removed from radio playlists around the world and even the first episode of season 3 of The Simpsons, which features the pop star, has been stricken from video streaming services. In light of all this however, there is perhaps one casualty that has yet to be covered (or uncovered) by the mainstream media. 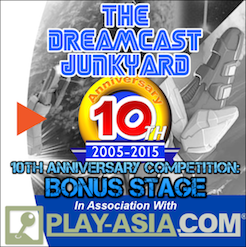 BREAKING NEWS: Five new Dreamcast games incoming! What a lovely mix of titles. Pre-orders opened today and the games are expected to ship between March 15 and April 30. 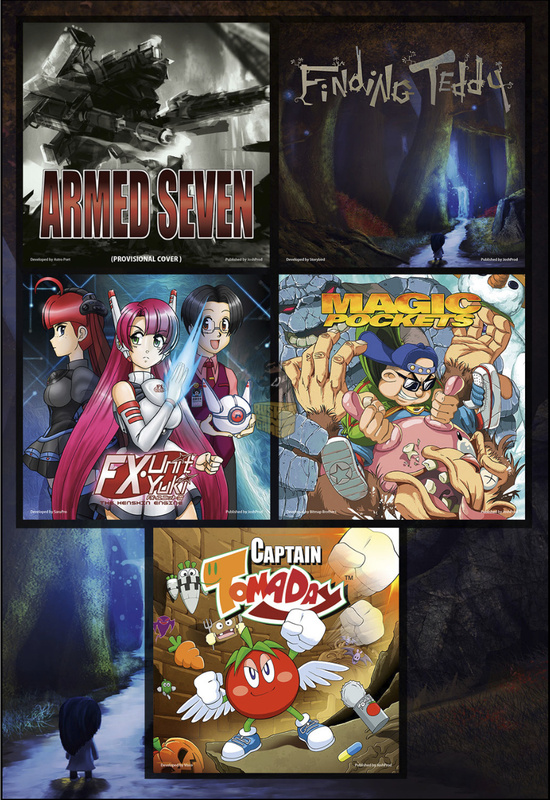 All of the previous JoshProd titles are also up for grabs, so if you missed any, now is your chance. The promotion will be available on RushOnGame.com until midnight, May 15 2019 and the games are also available from the PixelHeart.eu store. 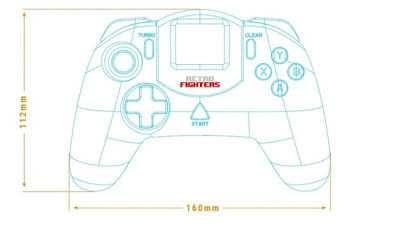 Everyone and their dog has an opinion on if the Dreamcast pad is any good or not, however today saw a potential actual contender arrive for the much aged original Sega Dreamcast design. So if you do happen to either not be a fan, or just fancy a change after all these years, then more options are emerging in this field. 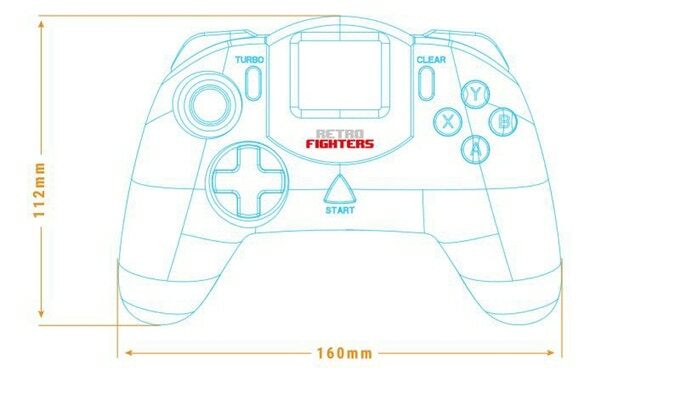 Retro Fighters, the LA team that has previously successfully Kickstarted and delivered pad designs for the NES and the N64, today launched and then achieved the £10,000 goal they had set for delivery of the project for a new DC pad, that will fully support VMU and rumble too. 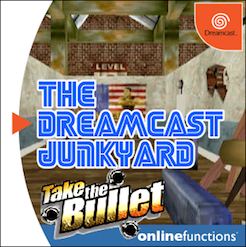 The first new game for Dreamcast in 2019 has been announced. 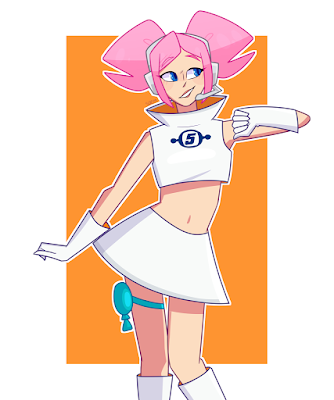 FX Unit Yuki: The Henshin Engine, a love letter to the PC Engine, has been ported to Dreamcast and is set for a March 15th release date. Check out the announcement video below. Welp! 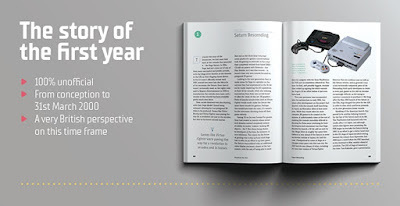 It’s February already and we haven’t even done a year in review for 2018 yet. Shame on us. 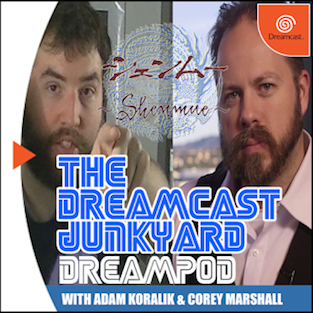 If you recall, 2017 was an unprecedented bumper year for Dreamcast games. There was a total of 27 physical releases last - er.. the year before - including nine brand new titles, various re-releases and packaging variations. Along with the physical releases, we also got out hands on the previously unpublished game Millennium Racer: Y2K Fighters during 2017 as well. It was going to be hard for 2018 to top this lot. 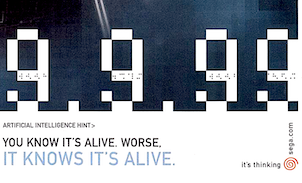 Just what did the year that heralds the 20th anniversary of our little white box have in store for us? 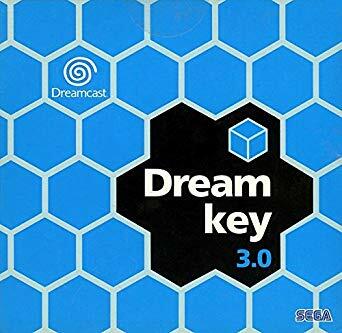 Let's take a stroll back down memory lane through the Dreamcast releases of 2018. The Dreamcast Junkyard's very own, James Jarvis has put together this rather handy video guide, showing step by step how to connect to the Internet using the Dreamkey 3.0 disk. Check it out below! 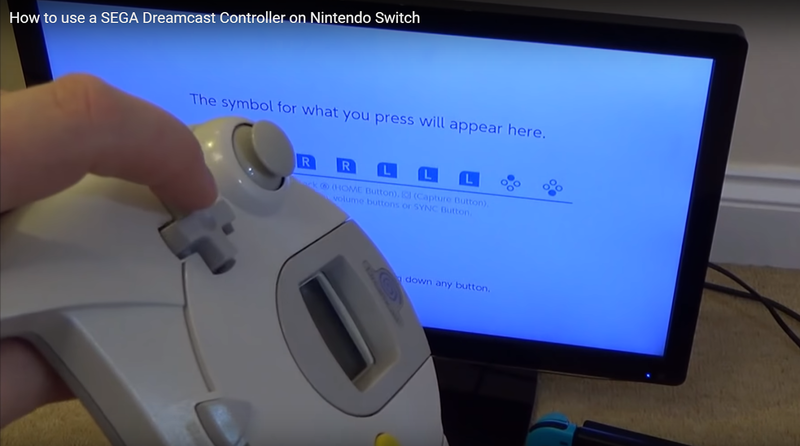 We here at the Dreamcast Junkyard love our sometimes unfairly maligned controller, however have you ever wished you could use your beloved VMU housing beaut on your Nintendo Switch? Well, no me neither, but now you can anyway. Forced to use a screen shot of a YT video? You betcha! 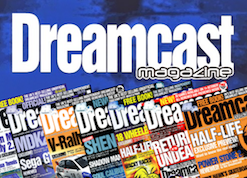 THE DREAMCAST TOP 100, as voted by YOU. 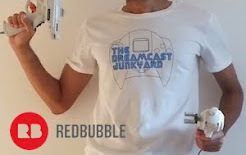 DCJY - Keeping The Dream Alive. Powered by Blogger.